We can provide your modern, as well as your classic Ducati with the best care and service in our fully equipped workshop, using only the best products. With our own Dynojet testbed we can perform dynotests. During these tests we simulate the road or track performance of your bike’s engine during varying rates of acceleration, at steady speeds, part speeds or full throttle. 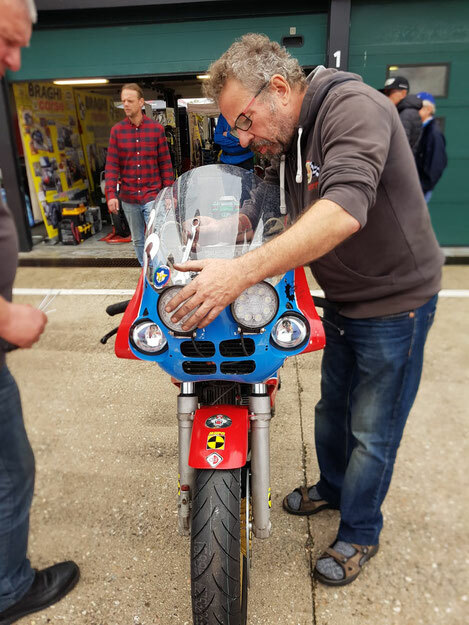 According to your needs or wishes we can fine tune or even remap your bike’s ECU.This will result in a smoother and stronger running engine. Through our major business: Redfox import, we can sell you the best Ducati parts available from the world’s leading brands at very sharp prices. We just love these little thoroughbreds! We’ve build, raced and won several classic sprint and endurance races with our Redfox – Grinta TT-F1. And so can you! Everything you need to build your own TT-F1 or TT2 is available in our shop. Prices and pictures are submitted to changes.